Google and Salesforce have come to an agreement, one that will see the former’s G Suites productivity apps directly integrated with the latter’s CRM service. The impressive partnership between the two companies was one of the highlights of this year’s Dreamforce event. While the two companies have been associated with each other for more than a decade, the new arrangement will see Google Cloud becoming Saleforce’s prime choice of public cloud provider, as well as becoming its key cloud provider for the global expansion the company is said to be making. Not only will this partnership see the integration of Salesforce’s service with Google’s G Suite software, it will also give Salesforce’s clients a free G Suite subscription that will be good for a year. This means clients who run G Suite will have access and be able to share information from their accounts in Google Calendar, Gmail, Drive, Docs, and Hangouts. It will also feed data from the CRM platform’s Sales and Marketing Clouds into Google Analytics 360. It’s expected that Google Analytics 360 will already be embedded in Salesforce’s Sales and Marketing Clouds by the first six months of 2018. The alliance between Google and Salesforce will also see Quip being integrated as a live app in both Google Calendar and Drive. This will permit users to work in those apps inside a Quip document. The feature will be available to Quip license holders by the first half of 2018 as well. 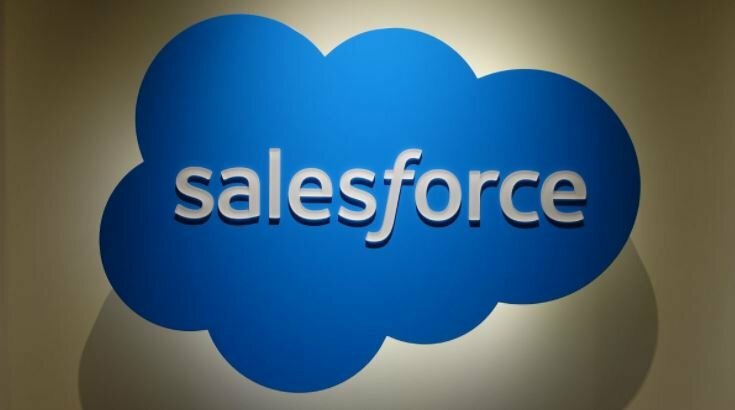 Salesforce CEO Marc Benioff described the partnership as a way for customers of both companies to have the best of both worlds. He explained that it will make it easier for companies to manage their business in the cloud, whether its analytics and emails, sales, service and marketing apps, and even productivity apps. Benioff also promised that the deal between Salesforce and Google will assist in making clients work smarter and become more productive. The integration of Salesforce’s data into the Calendar, Drive, and Gmail has already commenced, and other integrations are set to be released next year. What’s more, the tie-up with analytics is reportedly scheduled to be rolled out next year and will be offered for free. Salesforce and Google do not have time to rest on their laurels though, as Microsoft has been determinedly targeting the two companies’ services through the Azure and Office 365 platforms. Luckily, Google and Salesforce’s new alliance means that they have their own means to counter Microsoft’s prime selling points.